Mark Ernest Patten, age 67, of Grand Marais MN, passed away March 16, 2019 at the Solvay Hospice House in Duluth, MN after a battle with ALS (Lou Gehrig's disease). He was born March 11, 1952 to Leland Tobias Patten and Kathryn Sylvia (Dewar) Patten in Worthington, MN. He graduated from Robbinsdale High School in 1970. He married Nancy Elizabeth Barr on May 26th, 1972 at Okontoe Camp, Grand Marais, MN. Together they had 4 children. Mark was an avid outdoors man and loved adventure and camp life. 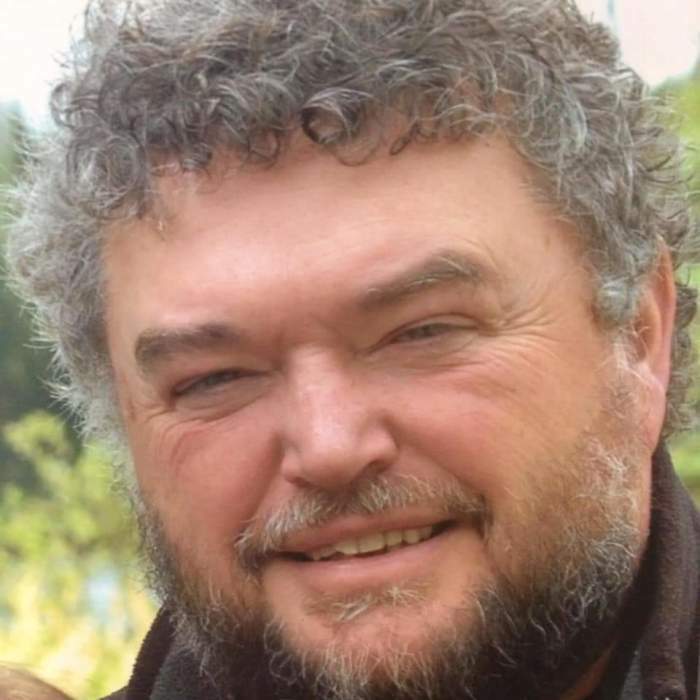 He attended Pinehaven Christian Camp as a young man, worked at hunting camps in Alaska, Wyoming and Montana, helped start Adventurous Christians in the early 1970's, and was the director of Okontoe Fellowship for 33 years. He was passionate about sharing the love and redemption of the Gospel message with everyone he met. He helped organize mission outreaches to Native communities· in Ontario and Manitoba, which included Bible camps, hockey outreaches and training/sending missionaries. His love for worship fortified the faith of many and honored his Savior as he led church services, outreaches, youth/sports/ and mission training camps. His fun-loving personality won the hearts of many as he taught the Word of God from his home, in the Okontoe chapel, around the campfire, and across a picnic table. Many camp participants will recall him teaching them how to paddle a canoe, how to light a fire, to use a compass, or the muddy mess of his signature "swamp walks". Mark started a chapter of Fellowship of Christian Athletes in Cook County and volunteered as a football/weight lifting coach for many years. He enjoyed dog mushing for 21 years, during which time he and his dogs were privileged to participate in the filming of the Walt Disney movie,"Iron Will" (1993). He loved working with Okontoe's Belgian horses and the sleigh ride business he and his family ran for over 21 years. Out of his love for God he passionately shared his faith in Christ with anyone he could, discipling and caring for all who came into his life, whether it be on a canoe trip, behind a team of dogs, across a hockey rink or football field, or simply on his porch swing. He truly encompassed the verse from Colossians 3:17 - "And whatever you do in word or deed, do all in the name of the Lord Jesus, giving thanks to God the Father through Him." Preceded in death by his parents, Leland and Kathryn. He is survived by his wife, Nancy, his children Christin (Peter) Jacobson, Andrea (Tim) Bermel, Jacob (Andrea) Patten, Benjamin (Elizabeth) Patten. Grandchildren - Tate, Cayle, Nolan, Isaiah, Annelise, Micah, Nathan, Jace, Madelaine, Isaac, Olivia and Andrea, brother John (Ahne) Patten, sister Lynn Vigesaa, and numerous nieces, nephews and great­ nieces and nephews, and countless "extended family members". A Celebration of Life will be held at 1 PM on Saturday, March 30, 2019 at the Cook County High School Gymnasium, 101 5th St. Grand Marais, MN. Coffee and cookie fellowship will immediately follow the service.